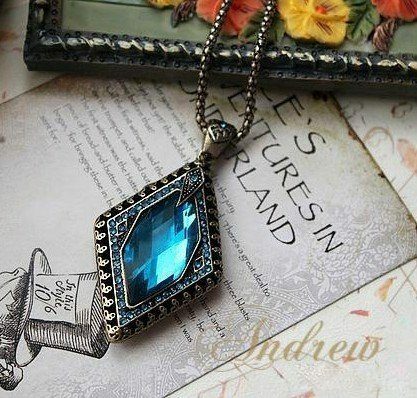 Sapphire Rhombus Gem Necklace Just $2.95! You are here: Home / Great Deals / Amazon Deals / Sapphire Rhombus Gem Necklace Just $2.95! Get this gorgeous Sapphire Rhombus Gem Necklace for just $2.95 on Amazon! Even better, shipping will be FREE!